United Access is inviting visitors to explore its their new website. 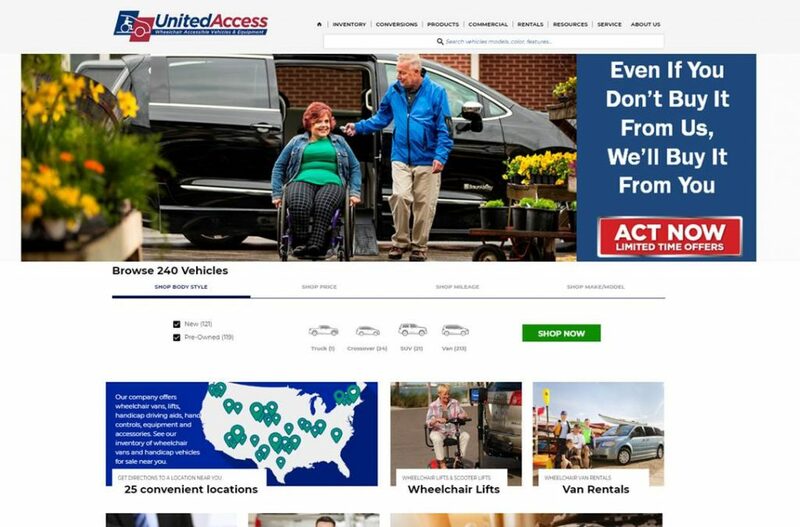 The new website has been redesigned to offer the ultimate user-friendly experience with improved navigation and functionality while allowing customers to see all of the wheelchair accessible vehicle inventory available. Intuitive Navigation to reduce the number of user clicks to navigate the site. Product Filters which allows users to easily narrow down the product portfolio by selecting key attributes the product needs to have. Responsive Functionality allowing the site to be compatible with all browsers and mobile devices. Veteran Resources to help veterans will any of their mobility needs, including funding. Visitors to the new site can stay informed with the latest United Access and industry news through the new online blog. The blog will contain richer online content such as industry information, press releases, featured products and customer stories. The user is always just one click away from useful and pertinent information. For more information on United Access and to view the site, please visit www.unitedaccess.com.